Combined Logistics: Is a family owned logistics solutions specialist, located in Hazelmere providing a flexible, reliable & professional transport service. Our experienced team has a hands-on approach to supplying transport, logistics & project management solutions to many industries including oil & gas, mining, construction & civil to name a few.CAPABILITIES 7 prime movers, 1 rigid tilt-tray & a diverse fleet of trailers, capable of transporting general freight, machinery, transportable buildings, containers, heavy & over dimensional freight. 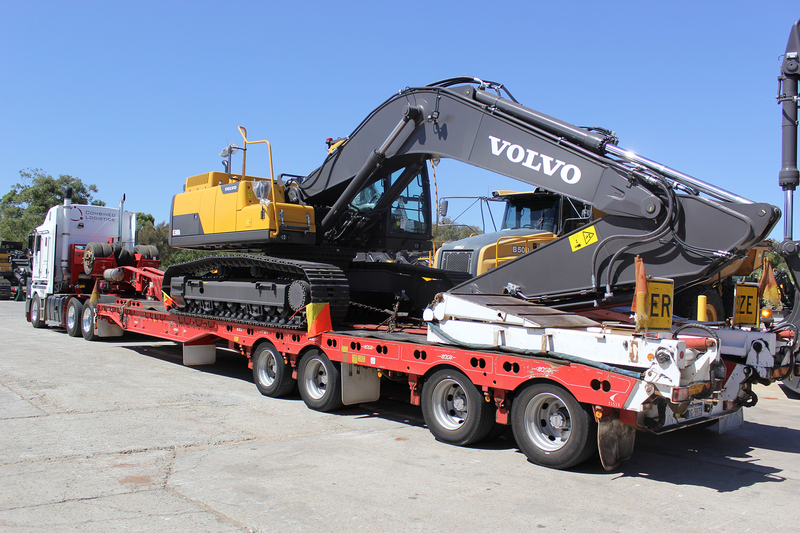 Comprehensive trailing fleet including floats (50 & 75t), drop decks with ramps (inc. extendables & deck wideners), flat top trailers (inc. extendables), a 45' tilt-semi & a 48' extendable drop deck tilt semi (recovery work), with dollies & A-sections providing a wide variety of B-double & road train configurations. All vehicles are fitted with satellite IVMS providing the ability to accurately access arrival times & manage driver fatigue.